The Switch is a particularly popular holiday purchase this year which leaves more than a few people wrestling with the choice between purchasing physical game cartridges and digital downloads. While plotting out our own holiday purchases we’ve invested a fair amount of energy into investigating where the best value in Switch game purchases lies, with an emphasis on getting the most value (both present and future) out of our purchases. Curious which one is a better value based on your needs, family, and gift-giving situation? Here’s how the digital vs. physical game debate shakes out for the Switch. Let’s open our game examination with a peek at Nintendo’s digital Switch offerings. Digital purchases have two great things going for them right out of the gate. First and foremost, they’re available instantly. Buy the game, download it to your Switch moments later, and you’re playing. Parking them on the device itself also means they’re also super portable. 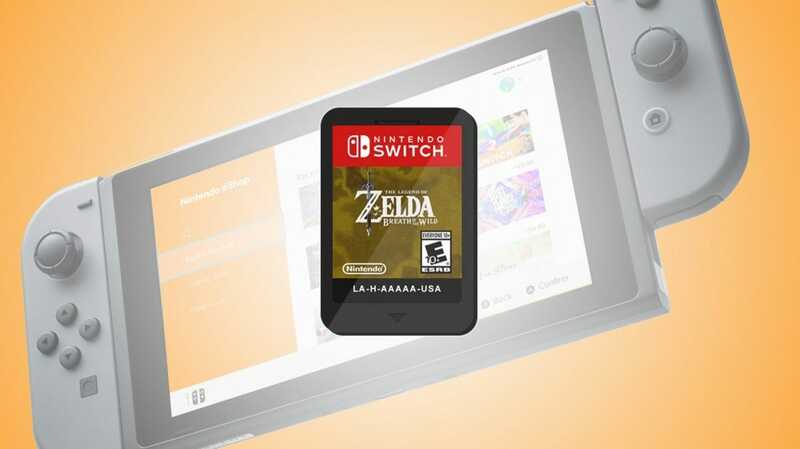 Just add a large-capacity micro SD card to your Switch and you can carry every single Switch game you’ve ever purchased right along with your Switch. No cartridges to pack along or potentially lose. Digital downloads are available instantly, ultra portable, and some titles are digital exclusives. Finally, there are some games that are only available as digital downloads with nary a physical cartridge to be found. If you want to play the smash hit indie game Stardew Valley on your Switch, for example, you’ll need to purchase a digital copy. There are a few downsides to going all digital with your Switch purchases, though. The most obvious downside is that it’s impractical to the point of being almost impossible to share games with friends and family members (and, likewise, impossible to resell your games unless you’re willing to violate the Nintendo terms of service and sell your entire Nintendo account to somebody). The whole Nintendo account thing makes it not just difficult to resell but difficult to even share within the same household. Your digital purchases are linked to your Nintendo account and only one active Switch can be linked to a Nintendo account at once—which rules out, say, mom or dad creating an account, purchasing games for the family, and then linking their account to all the Switches in their household. If Jenny buys Breath of the Wild and Timmy wants to play it, Timmy will have to play it on her Switch. The same mechanism that makes it impossible for Jenny to just hand her brother Timmy the game to pop in his Switch makes it impossible to resell the game. Once purchased and linked to the account, it’s said and done. It’s your game forever. Unfortunately, digital downloads are difficult to share, impossible to sell, and rarely go on sale. Or, maybe not. While I still own all the Nintendo game cartridges from my original Nintendo systems purchased throughout the 1980s and 1990s, things are a little trickier for the purchases I made via the Nintendo DSi shop in the early 2010s. The DSi Shop is in the process of closing down and once they shutter it completely whatever downloads you haven’t retrieved are gone forever (or will die when your DSi kicks the bucket). Hopefully Nintendo is finally getting around to ironing things out with their digital delivery, but a digital-only system is always at risk of going offline at some point. The last (but certainly not least) consideration is cost. Nintendo very rarely discounts digital downloads and when they do it’s never for top tier games. For example, their 2017 Cyber Week sale featured a handful of games on sale but none of them were premier titles and many of the sales prices simply brought the cost of the game down to around where other retailers were already selling the them. Practically speaking, blue moon sales aside, you should be prepared to pay the full MSRP for any digital Switch games you purchase. Physical cartridges are the way Nintendo has done portable games since the beginning and there’s a lot to be said for tradition. Although we talked a lot about the various aspects of digital Switch games before digging into the cost, we’re going to lead with the money aspect of physical games because it’s one of the best things about them. Physical games win hands down in the dollar department because not only can you score them on sale all the time, but you can turn around and sell them when you’re tired of them. Unlike digital downloads, which rarely every go on sale, physical games go on sale all the time. During the 2017 holiday season alone it’s proven trivially easy to pick up even top tier titles at a significant discount. Many retailers have run buy X get 1 free sales, Toys R’ Us ran a buy 1 get 1 40% off sale, big retailers like Amazon, Best Buy, and Costco run frequent sales that slash prices on popular titles. All told it was really easy to pick up top-tier games for anywhere from 30-50% off. 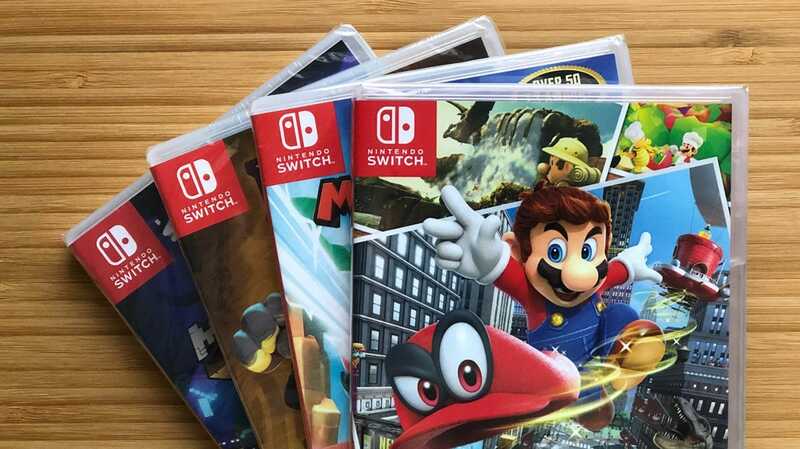 Eventually as the Switch ages many physical games will end up on clearance racks too, driving the cost down even further (where as digital downloads just sit at MSRP prices like $59.99 in perpetuity). Part of the value of physical games isn’t just the initial deal, but the later financial gain too. Should you tire of a digital game you can’t sell it, but if you’ve explored every single inch of Breath of the Wild you can give it a friend, sell it on eBay, or otherwise get additional value out of it (and, in turn, you can buy other people’s used copies too). Should you decide to sell your Switch, a bundle with the console and a pile of physical games is much more enticing for people than just the console. For a multi-Switch household the value of simply passing a physical game over to another player can’t be overstated enough. Until Nintendo gets iOS-like Family Sharing, physical cartridges are king. Speaking of swapping games, although we definitely gave digital games a fair shake in terms of being ultra portable, physical Switch games are so small they’re really no burden to pack along with the Switch if you’re commuting or traveling. Further, you can buy a whole additional Switch game for the price of a good large capacity micro SD card—so why not skip paying full retail for the digital games and extra for the SD card and use the money to buy more physical games on sale. Finally, and this is particularly relevant around the holidays and when shopping for kids, it’s so much easier for parents, grandparents, and other shoppers in your family to buy and wrap a physical game—and, frankly, we think nothing replaces the magic of unwrapping a game you’ve waited all season to play. 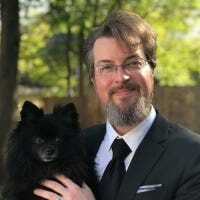 While we’re more than just a little bit sold on the superiority of physical games over digital downloads, we’re happy to hear your passionate arguments in defense of your digital lifestyle in the comments.